This post contains affiliate links. If you make a purchase using my links, I do earn a small commission. Thanks in advance if you decide to use my links. 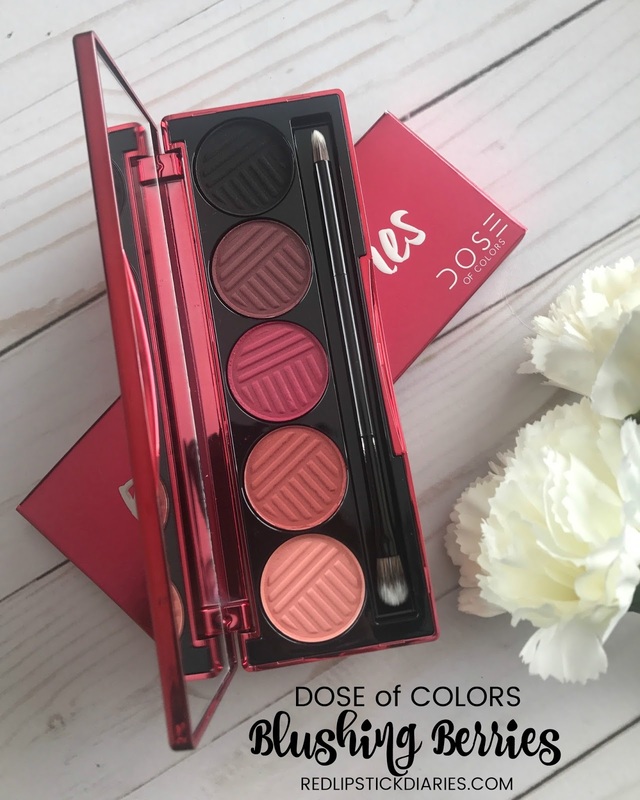 Dose of Colors recently launched two new 5-pan palettes and even though they are usually an online exclusive, I was lucky enough to find them both at my local Ulta right before Christmas. I had not seen many photos of the palettes and the store didn't have testers but finding them in person, plus the fact that I had a 20% off coupon helped to push me to get at least one. 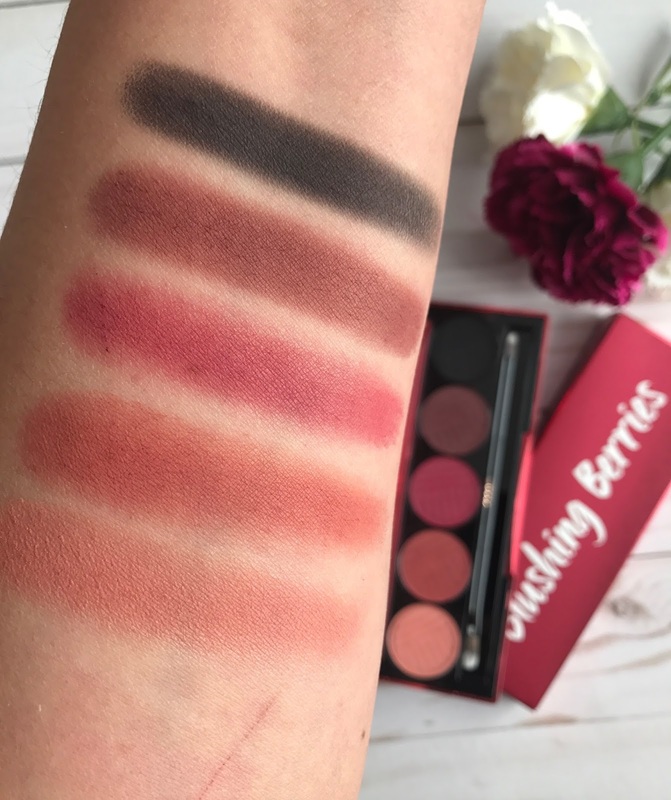 I am so glad that I did, Blushing Berries is a beauty! FYI: I do have a full review including swatches of Baked Browns if you'd like to check that out. I love that palette, it's such a treat to use and a favorite. The metallic outer packaging is stunning. If you follow me on social media, then you know how important packaging is for me and this palette is just beautiful inside and out. At $32 per palette I don't find Dose of Colors palettes to be expensive but I have gotten both of my palettes from Ulta with 20% off coupons, which makes them a better deal. I paid $25.60 for it which makes each shadow only $5.12, and a total steal for the quality. 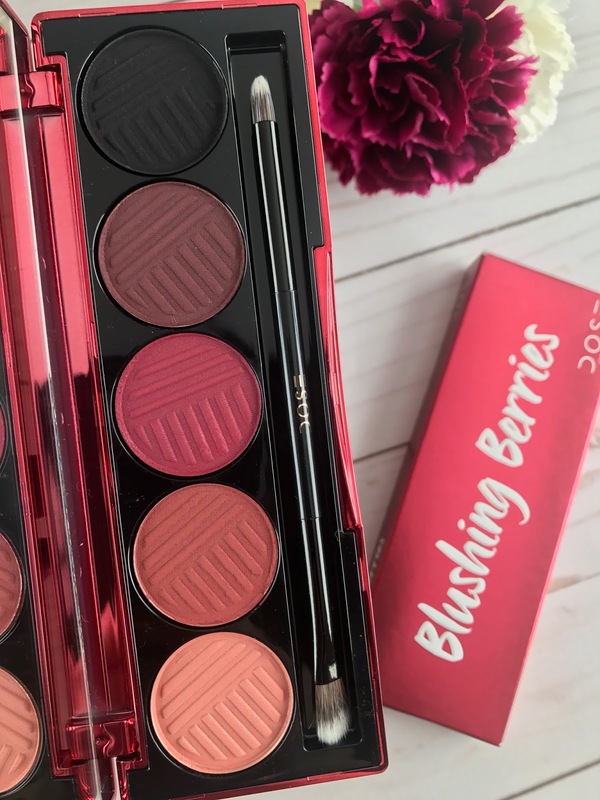 From the Dose of Colors website: Blushing Berries 5 Pan Matte Eyeshadow palette, with a mixture of rich plums and ripe berry shades. 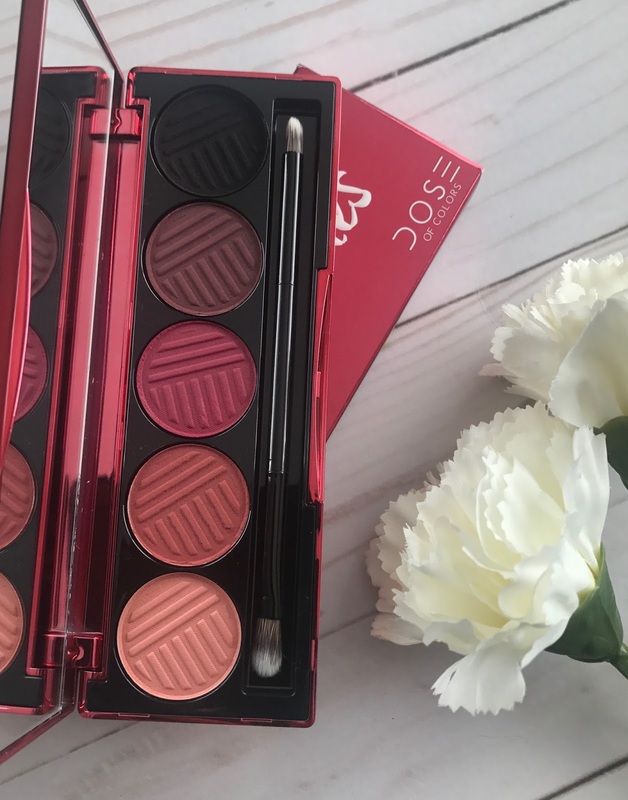 If you like berry toned shadows then this is definitely a palette you want to keep in mind. Not that iit's super berry, I only really consider Berry Pop to be most berry-toned. If you're looking for a more berry/pink toned palette I would suggest the Huda Beauty Mauve Obsessions which is actually cheaper and you get a total of 9 pans versus 5. I would personally get both because they are very different. 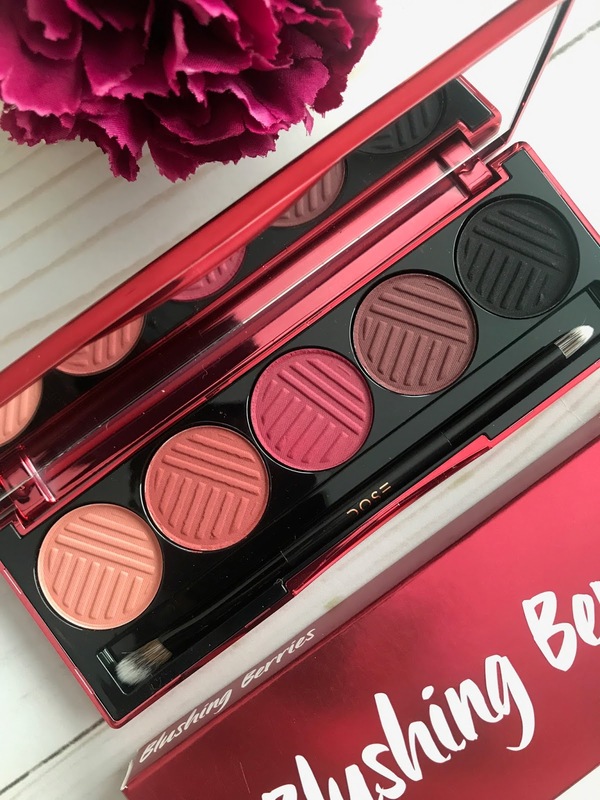 This is a First Look post which means I have yet to try the palette on my eyes but basing my experience with Baked Browns and the swatches, I am pretty sure that Blushing Berries is going to be another great hit. Baked Browns is one of my favorite palettes, the quality of the shadows is so good and it's such an easy palette to use. I am pretty sure Blushing Berries will be on par with that one. 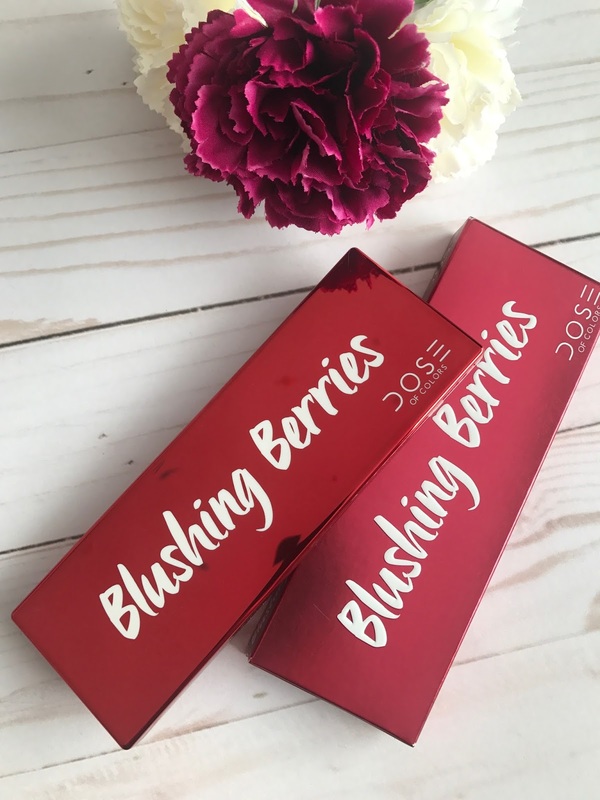 For now I hope that this post helps you decide if Blushing Berries is in your future. I am very much looking forward to using it tomorrow for New Years Eve Day and will definitely update this post with a review once I have used it. 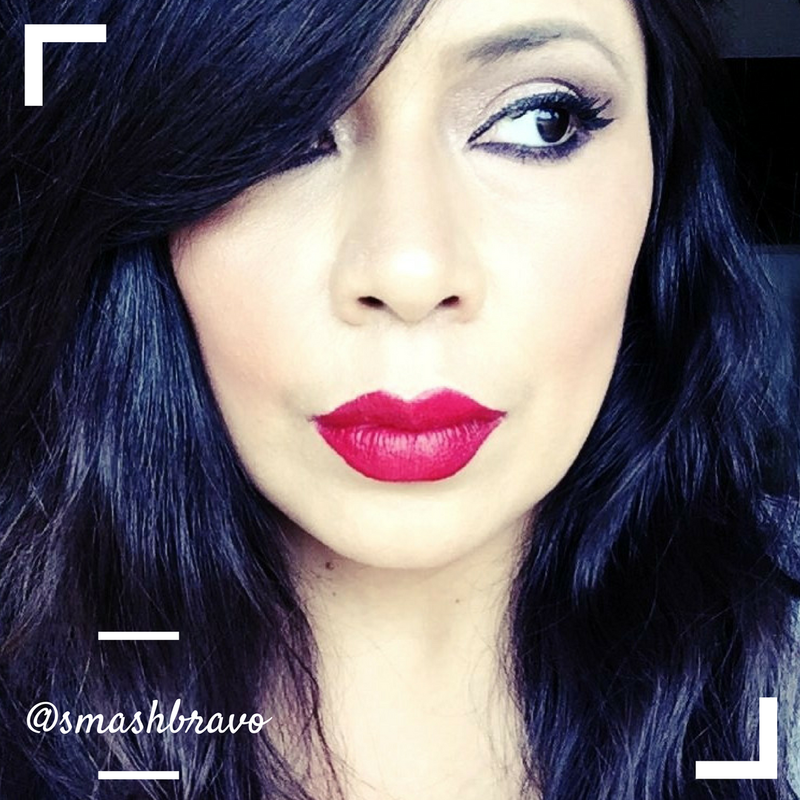 SHOP THE POST: Purchase Dose of Colors Blushing Berries at Ulta.